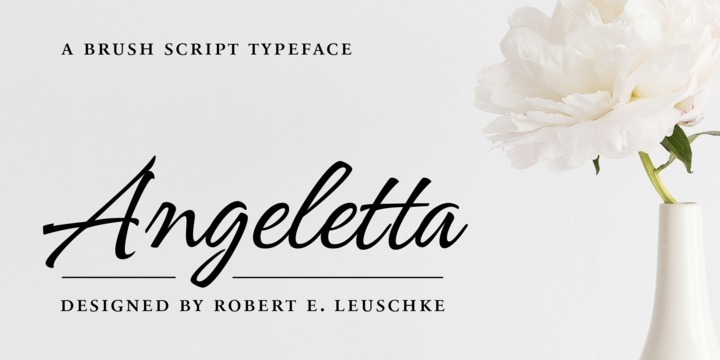 Angeletta is a handdrawn typeface created by Rob Leuschke and published by Monotype which keeps the hand-lettering traditions. This brush script font it was designed to be suitable for typographic purpose and it has 900 glyphs. Have fun! A font description published on Thursday, May 3rd, 2018 in Fonts, Monotype, Rob Leuschke by Alexandra that has 1,886 views.